Turn your mounted slides into digital files with our slide scanning service. Bringing in your mounted slides to be scanned onto disc is not only a great way to archive images for yourself, but also a great way to distribute copies of all your old photographs to others without having to print them all off. 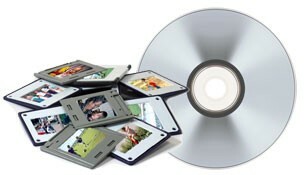 Once they are on a disc the images become a digital file, which means you can do anything with them that you can do with photos from your digital camera. This is a great way to get pictures together for a slide show at special birthdays, weddings and other events. If you are wanting to scan your slides for archival purposes, make sure you ask for our Kodak GOLD Archival discs, which are guaranteed to last for 300 years!